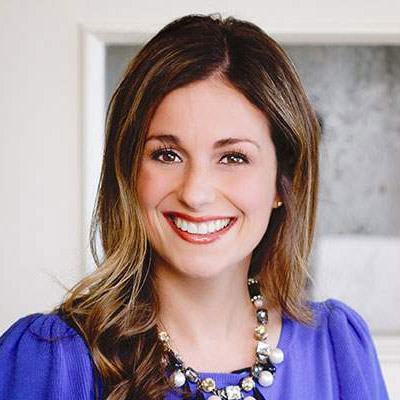 TBH Creative was hired by partner, Compendium Blogware, to redesign the blog site for Lydia's Uniforms. We created a design for Lydia's blog that was fun, matched company branding, and called attention to important company promotions. TBH stretched the limits of the Compendium's templated system using CSS to manipulate the typical blog design. Compendium Blogware is a great company is your business has something to say and is looking to increase search engine optimization. Compendium is the only blogging software built specifically for business. Focused on SEO, blogging with Compendium means blogging for results. A Compendium blog enables your employees to create–with ease– relevant content to generate new customers and create demand for your product or service. 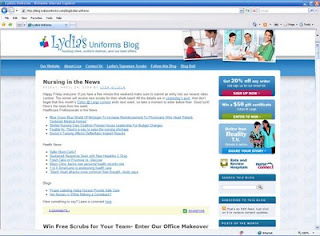 Lydia's Uniforms is dedicated to getting you the latest, in-style scrubs and medical uniforms at the best value. They have been selling medical uniforms for 40 years and three generations (all started by their Grandmother Lydia). They emphasize providing friendly customer service and taking care of customers one at a time. If your company is looking to increase search engine optimization, contact TBH Creative to learn more about what can be done and determine if blogging is a good solution. Or if you already have a blog, we would be happy to assist with a redesign to make it more effective and professional.